Air America, the progressive talk-radio station that launched Rachel Maddow’s national career and featured the voices of other liberal personalities like Al Franken, has folded. Filing for bankrupty, Air America will cease its programming and go off the air at 9:00 pm EST on Monday, January 25. Air America was a great and hopeful alternative to all the conservative talk radio out there (again, I think I mentioned that it aired the Rachel Maddow radio show? I still miss the “Ask Doctor Maddow” segments.) So I actually take back the whole rest-in-peace thing. I am actually hoping for some unrest―more progressive voices fighting for a place to be heard, in local and national media, in independent and mainstream media. “It is with the greatest regret, on behalf of our Board, that we must announce that Air America Media is ceasing its live programming operations as of this afternoon, and that the Company will file soon under Chapter 7 of the Bankruptcy Code to carry out an orderly winding-down of the business. Read the rest over at the Air America website. 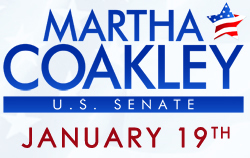 For any Massachusetts resident readers, Tuesday (January 19) is the special election to fill Ted Kennedy’s Senate seat. Strangely enough, the race between Democrat Martha Coakley and Republican Scott Brown seems to be really close (oh, you unpredictable Massachusetts), so it’s incredibly important for us to get out there to the polls on Tuesday to vote for women’s rights, LGBTQ rights, and health-care reform (read: vote for Martha Coakley). Want to know more about Martha? Check out her stances on the issues. Need to know where to vote? Find out. Polls are open from 7:00 am to 8:00 pm, so there’s lots of time to squeeze this really important vote in. Info on where to find up-to-date information on the situation in Haiti can be found at Talking Points Memo. Substantial jail time for anyone who knows LGBTQ people and doesn’t report them. The insanity is beyond comprehension, and I’ve been meaning to mention it here earlier. 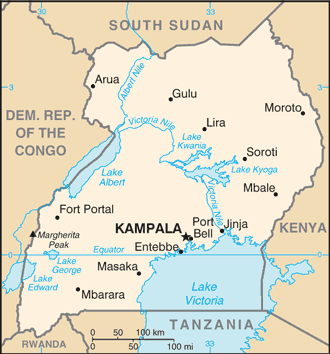 I’ve been keeping up with the status of it through in-depth reporting that Rachel Maddow has been doing on the matter, including the role of anti-gay American evangelical religious activists in helping influence the Ugandan legislation.